one-year subscription to Amazon Music Unlimited, and an HTC Bolt1. of their favorite family holiday tradition with #SprintSnowSweepstakes. To enter and for more information on the sweepstakes, visit www.sprint.com/snowsweepstakes. 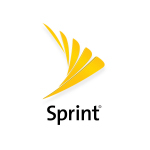 Sponsor: Sprint Communications Company L.P.